1. Apple Pie The apple pie from Witches Brew is amazing! 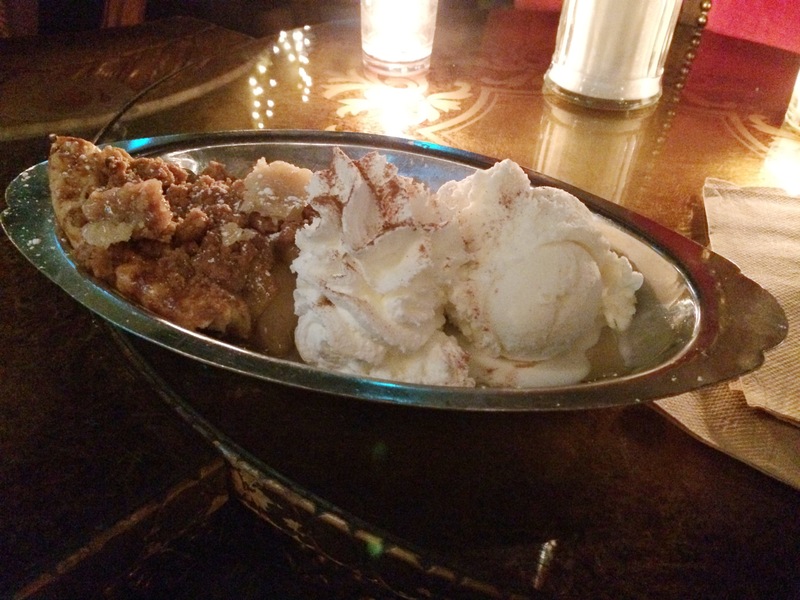 The crust is flaky, the pie is warm and paired with ice cream and whipped cream the experience is delightful. Fall is here and apple pie is always a fall favorite, trust me this pie is worth it. 2. Red Velvet Cupcake Have you been to Georgetown Cupcake? If you haven’t, you need to go to one immediately! 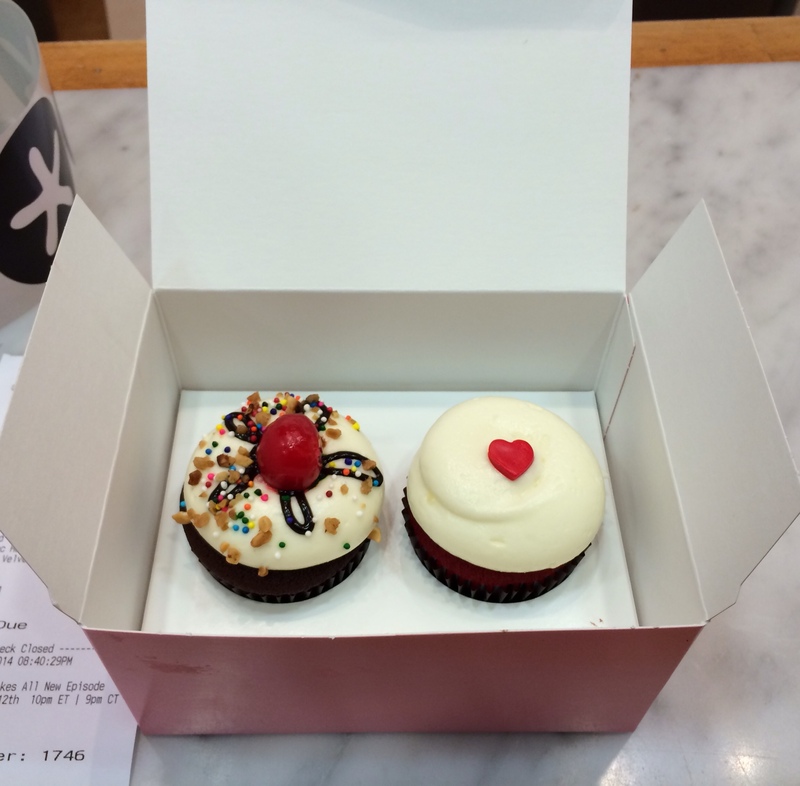 Georgetown’s cupcakes are freshly baked and they are delicious. My favorite cupcake is their red velvet cupcake. It is soft, has a great red velvet taste and is topped with a cream cheese frosting with a fondant heart. My second favorite cupcake is the chocolate sundae. (Unfortunately this cupcake is seasonal.) Both are delicious and great to order for celebrations or to pick up for an after dinner dessert. 3. Warm Chocolate Molten Cake Nothing warms my heart more than chocolate cake. I am absolutely a chocoholic and chocolate cake is my biggest addiction. 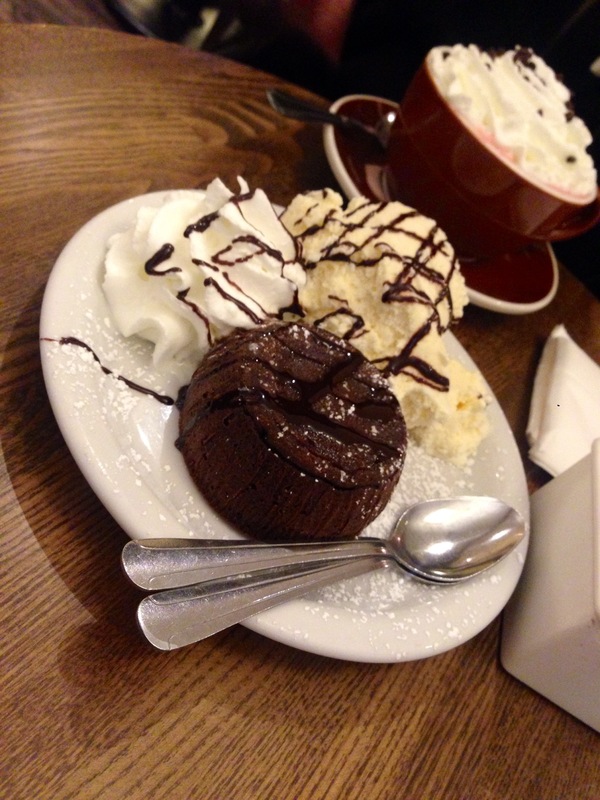 So for me, nothing is better than a warm chocolate molten cake paired with vanilla ice cream and whipped cream. One of my favorite molten cakes is from Martha’s Country Bakery. The cake is a nice small size, it’s delicious and my heart is always warmed with happiness at the end of my experience. 4. Mandarin Cheesecake Now I know this choice is a bit far fetched because this cheesecake is from a restaurant called The Rock Grill on the Bahamas Celebration ship but I had to include it on my list. 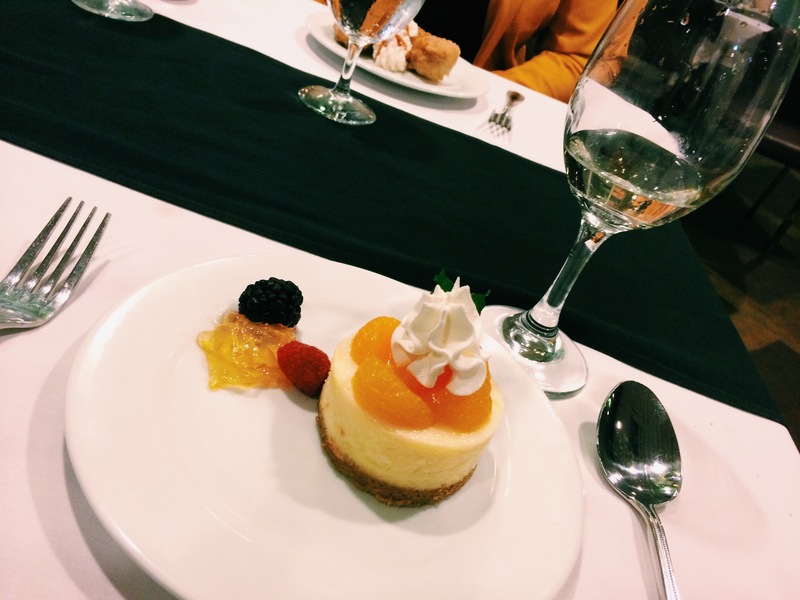 The Mandarin Cheesecake was so perfect that I ordered two. It was light and refreshing, sweet and satisfying. It was the perfect ending to dinner and honestly I want to eat it again! 5. 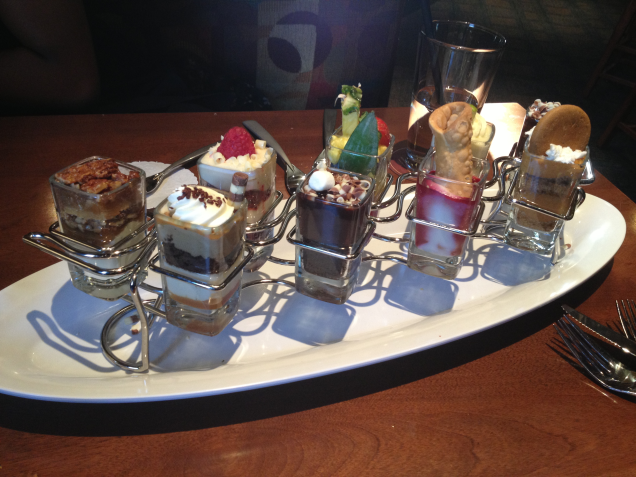 Mini Indulgences At the end of every meal at Seasons 52 the waiter brings out a tray of 7 mini indulgences. Your eyes will light up when this tray arrives and you will want every single one displayed, even if you don’t normally eat it. I have tried a few of the indulgences but I can’t suggest a favorite because they change every season. I do know that after a great meal, these desserts are the perfect happy ending.